Oregon salmon fishermen have long been attracted to the fall and winter king fishery offered by the Elk river. Literally thousands of Chinook enter the river in the months of November through January. Also in December healthy numbers of steelhead start to show offering excellent steelhead fishing as well. The Elk river hatchery release an estimated 325,000 salmon smolts from Elk River incubation center every year. This makes the fish hookup ratio fairly high due to the fact that the Elk gets some of the strongest salmon runs of all the small rivers. 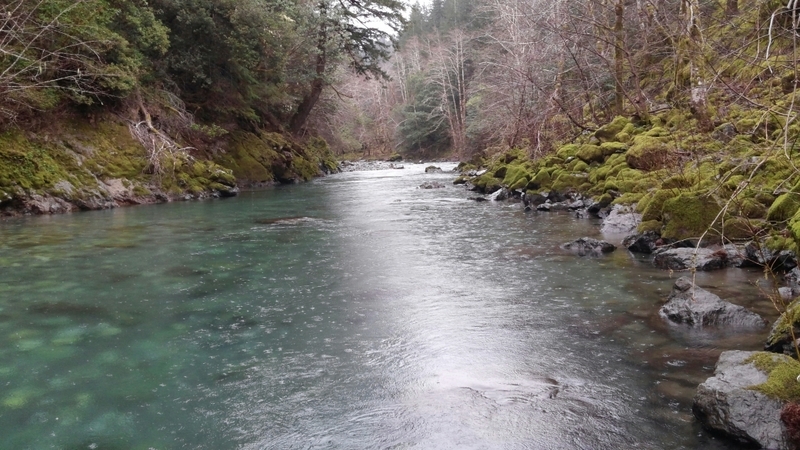 While October and early November are prime time on numerous Oregon waterfront streams, late November through January is the top of the salmon and steelhead runs on the Elk river. During that time of year the catch rate is generally one right after the other making for freezers full of prime grade salmon. No engines are permitted on the Elk, so it’s a float vessel only fishery. Formation: Pretty well spread apart with clustering in certain locations as always eye protection recommended!